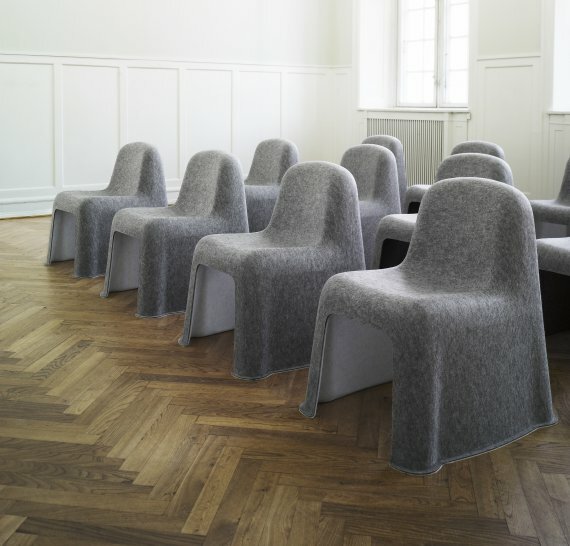 One of the latest designs from Danish furniture company HAY is the Nobody chair. 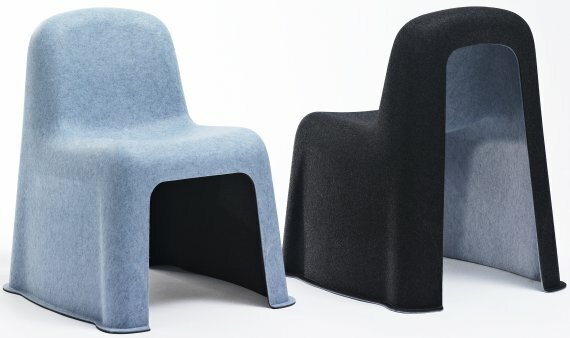 Amazingly, the chair has no frame, and is made entirely from recyclable felt that has been pressed into shape. 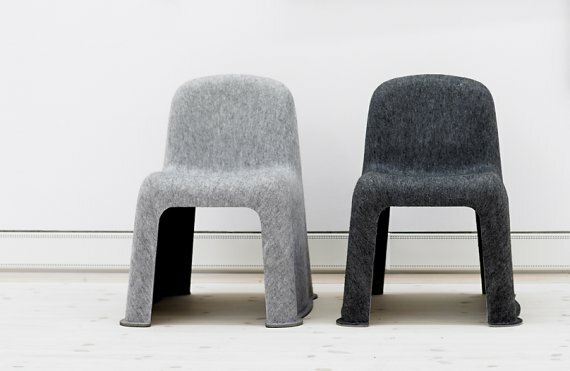 The light-weight and stackable chair was created by the design duo of Poul Christiansen and Boris Berlin from Komplot Design. Visit the HAY website ? here.